Alliance Benefit Group is a national network of independently owned retirement plan consulting; investment advisory; health and welfare consulting; and benefits administration firms. From plan design to implementation, Alliance Benefit Group will guide and help you every step of the way. Working with us means you never have to be on your own! We don't believe in one-size-fits-all solutions. Alliance Benefit Group will design a retirement plan that fits your situation and goals. 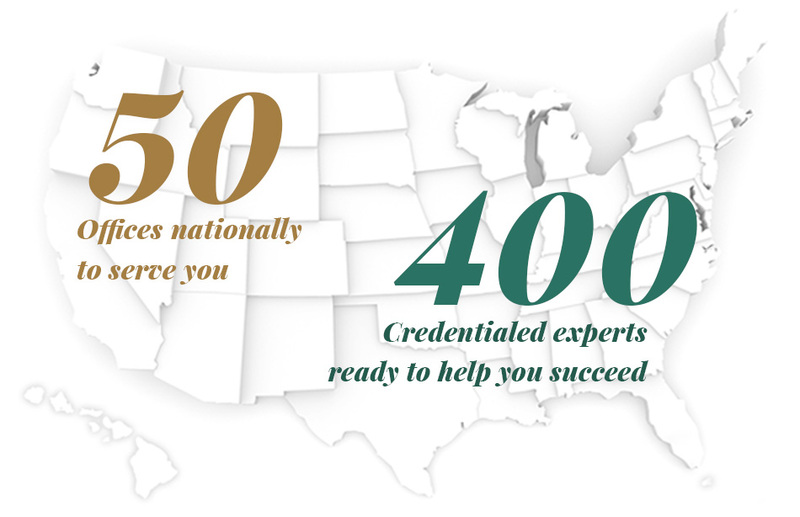 As one of the largest retirement plan administrators in the country, Alliance Benefit Group serves a broad and diverse client base. Our focus is providing our partners and our clients the support to build their businesses. In addition to retirement plan administration and recordkeeping services, Alliance Benefit Group possess the knowledge and experience to provide the highest quality total benefits solution in the industry. Discover how we can help you grow.